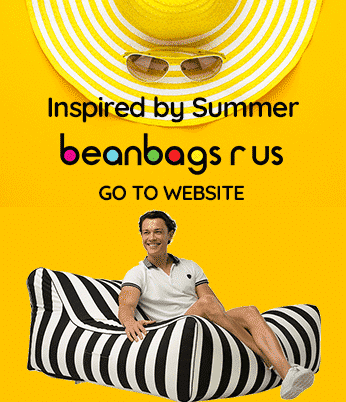 Bean Bags R Us NewsBean Bag ChairsWhy was Target forced to Recall its BeanBags in Australia? Why was Target forced to Recall its BeanBags in Australia? Target Australia has been forced to issue a recall of cheap bean bag chairs that were sold in Target stores across the country and online at Target.com.au from April 2014 to September 2014. This recall is a result of the mandatory standard for bean bag safety set by the Australian Competition & Consumer Commission (ACCC). The recall, issued in early October affects anyone who purchased one of these items. The Space Chair Cover in Quilt Cotton sold in gray, blue and coffee, and the UPC barcodes for these bean bags are 54803312, 54803602 and 54803626, respectively. These products sold without child-resistant slide fasteners, which may allow children to open the covers and access the polystyrene filling. Anyone who purchased one of these covers is urged to discontinue using it immediately and return it to a Target or Target Country store at the earliest opportunity. A full refund will be issued upon the product’s return. Strict mandatory standards have been enacted regarding the manufacture and sale of bean bag furniture in Australia. These standards exist because the polystyrene filling poses a safety risk to children who may crawl inside the covers and suffocate or choke on the beads. High-quality bean bags have been deemed to be entirely safe as long as the safety standard is followed. Therefore, consumers have been warned to ensure that cheap bean bag chairs are safe before buying or using them. The Trade Practices Act passed in 1974, and it requires companies to follow specific safety standards when manufacturing products that may pose a risk of injury. The mandatory standard for bean bags, covers and beads is meant to protect children of all ages from inhaling or ingesting the small particles of polystyrene that are often used as filling for bean bag furniture. To help the suppliers of bean bags comply with the mandatory standard, the ACCC has published a booklet that summarizes the regulations and provides text of the relevant sections of the Trade Practices Act. Suppliers of bean bags, bean bag filling or bean bag covers are held responsible for understanding the standard and seeking professional help when there are any questions about compliance. The primary requirement of the mandatory standard for bean bags is that the covers and other openings that allow access to the filling must either be permanently closed or fitted with a child-resistant slide fastener. This slide fastener is usually in the form of a zipper with its handle removed that is outfitted with an additional locking mechanism. In addition to the above, the standard mandates that the word warning be printed in red, uppercase letters at least 5 mm in height on a white background. And the uppercase letters of the other words must also be a minimum of 5 mm high. The labels must be securely affixed to the products in a conspicuous location. While manufacturers, importers and distributors usually comply with these standards, it is ultimately the responsibility of the retailers to ensure the products they sell are safe and meet the obvious requirements. It is the responsibility of the ACCC to enforce the mandatory standard to protect the safety of consumers in the country. This is because studies have found that promoting compliance with the regulations prevents injuries, which is much more advantageous than trying to fix injuries after they occur. To discover whether any companies are in violation of the standard, the ACCC has the authority to conduct random surveys of the inventory held by retail stores. It may also investigate any claims made by consumers or suppliers regarding products that appear to be in violation. If products that are not in compliance are found in a store, the ACCC may halt the sale of these goods and force a recall of any items that have already been sold. Manufacturers, importers, distributors or retailers who are found to be in violation of the mandatory standard are subject to severe penalties that include fines of up to $200,000 for companies and $40,000 for individuals. Also, these companies or individuals are liable for any damages and personal injuries that result from their unsafe products. While high-quality bean bags that comply with the mandatory standard are safe, it is important for consumers to inspect cheap bean bag chairs for safety and report violations to the ACCC.